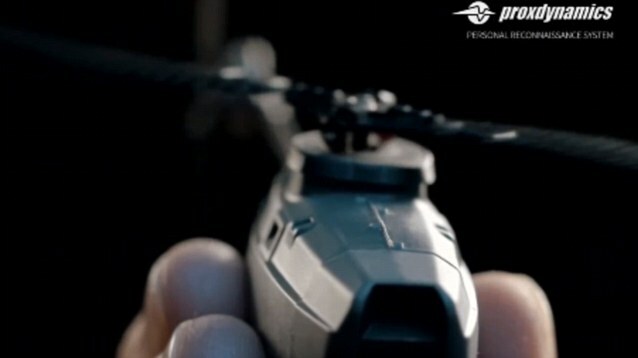 US Soldiers could soon get personal drones small enough to fit in the palm of their hand. Army Special Forces are testing the tiny black hornet drones. It can fly about a kilometer and stay aloft more than 25 minutes, and is controlled by a small flip down screen and joystick which can be attached to the soldiers utility belt. 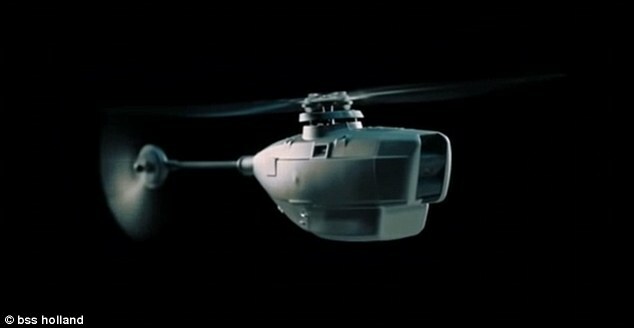 The 18-gram craft has three cameras and even thermal cameras to fly at night. When needed, soldiers can simply take the drone from a small box that straps to a utility belt – which is also where the data is stored, as opposed to on the drone itself, in case its captured. The operator steers it with a video game-like one-handed controller, or sets way points to allow the drone to fly itself using the touchscreen controller. The drone boasts three cameras, which send a live feed back to a chest mounted screen. It even boasts a thermal camera allowing soldiers to use it at night. At the recent National Defense Industrial Association conference, Defense One reporters saw the Hornet in flight and said its video feed was surprisingly clear. The PD-100 has been in operational use for three years, including wide use by British Brigade Reconnaissance Force in Afghanistan. This is what they use when they check out enemy compounds, Arne Skjaerpe,CEO and president of Proxdynamics USA, told Defense One.He said U.S. Army Special Forces has a handful of the devices. Officials from U.S. Special Operations Command confirmed that certain elite units had looked at the tiny drone. These informal evaluations have since completed and the systems were returned to the vendor Various SOF Combat Development Directorates continue to conduct market research into this class of devices, the officials said. In March, Army infantrymen tested the device at Fort Bennings Maneuver Center of Excellence during the Army Expeditionary Warrior Experiments.